There is nothing fancy about this recipe and frankly, that's just fine. It's a lovely meal for a cold winter day and about as healthy as you can get. Feel free to mix and match herbs as you like, I often use thyme in place of rosemary and occasionally we use the same herb for both the fish and the potatoes. Heat your oven to 400. 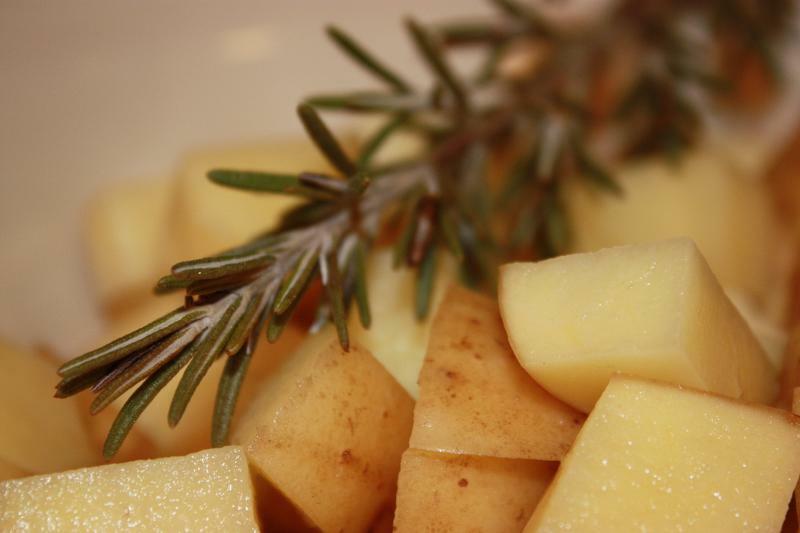 In a large bowl combine the potatoes, garlic, onion, rosemary and 2T olive oil. Cover a big cookie sheet with aluminum foil, spray with non-stick and pour your potatoes out in a single layer. Sprinkle liberally with salt and pepper and bake for about 25 minutes, tossing occasionally. 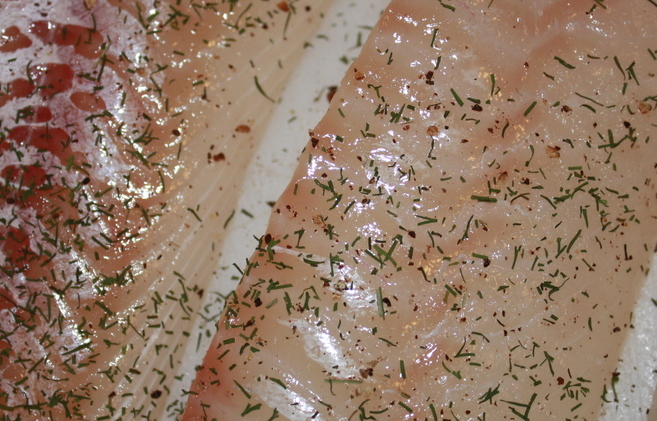 While you're potatoes are baking, lay out your cod and sprinkle both sides with salt, pepper and dill. Drizzle the olive oil over the fish and give it a nice rub. Once the potatoes are mostly done and your 25 minute buzzer has buzzed, lay the cod pieces directly over the top of the potatoes and return them to the oven. Bake for an additional 10 minutes, then turn your oven to "broil" and cook for 2 minutes more to finish. The fish will look flakey fabulous and will have lost its translucent quality when it's fully cooked. Serve with a salad and a nice glass of wine... Enjoy!